We've had a great growing season here at Milk & Honey Herbs- it was our first year providing the community with potent, live medicinal plants! Ourplant list is growing every day and we look forward to another exciting year of growth for the nursery in 2014. We've still got some plants available and will start accepting orders for spring of 2014 in the winter. In the meantime, it's always fun to indulge in pictures of medicine and flowers! The newest member of our family, Cedar, with the violet harvest! Bee Balm has an amazing "plant personality"
Our first year growing it- it's buds are so resinous and sticky it's no wonder another name for it is Gumweed! Red Sage/ Dan Shen, an important Chinese medicinal. It's root, the part used, is bright red! St Johnswort is sometimes referred to as "herb of the sun"
Puslane has the highest concentration of Omega-3 Fatty Acids (the "good fats") in the entire plant world, a whopping 8.5 mg per 1 gram of plant material- that's a lot! Truly an example of food as medicine. 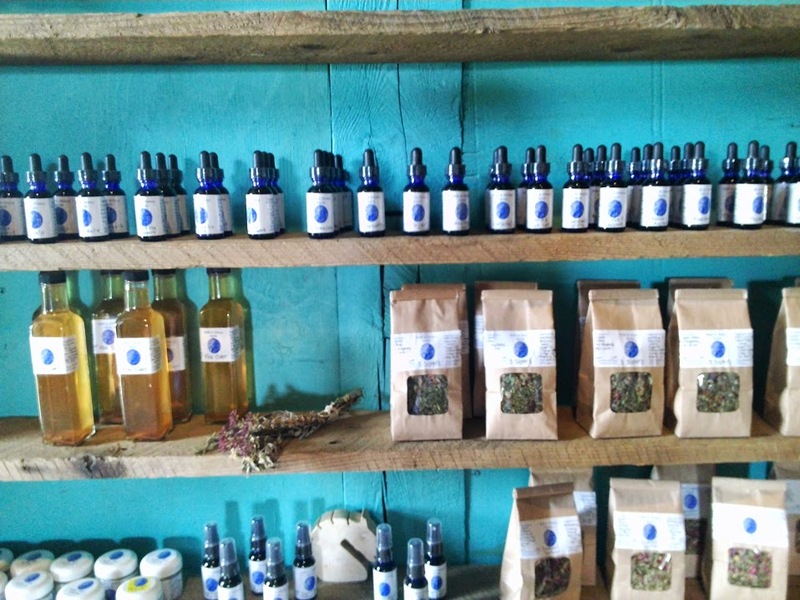 Milk & Honey products at Next Barn Over Farm in Hadley, an amazing CSA!